After the NSA-GA radio show with NSA-GA President and host Dez Thornton. In hindsight, what are some of the lessons you learned from your career? One of the things that happens when you step into the “seasoned” category is that younger people start asking you about your past. It has been a strange and gratifying experience; now that I am able to connect the dots from my various career experiences, things seem to make more sense. For instance, my job as a career coach helped me recently when I was responding to a reporter’s rapid fire questions about introvert angst. From this rearview mirror perspective I see the same issues repeatedly emerge. Another example: Spending too much $ on the wrong biz service providers emerges again and again (and again) in the “lessons learned category.” I am a slow learner! 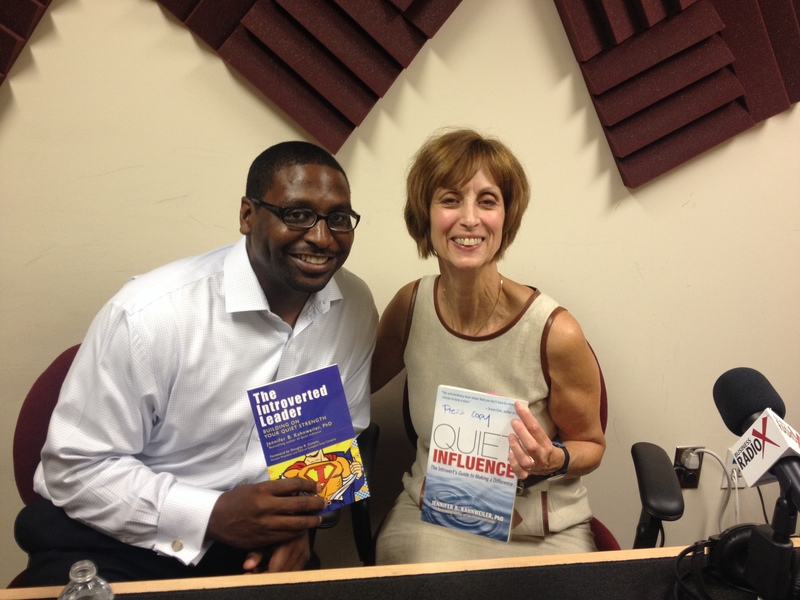 In an interview I did last month with Dez Thornton, top notch speaker, President of NSA-GA and host of the radio show Speaking Insights we discussed the story behind The Introverted Leader and Quiet Influence . I focused on lessons learned from my speaking career. In one story I described leaving the room because I didn’t know how to handle the hostility of a group of downsized IBM employees in the first wave of job cuts ever. But that experience made me realize that I needed to acknowledge the resistance, hurt and anger those people felt; not be afraid to confront those feelings and succumb to my own fears. What are your quotes as you look In your own rearview mirror? This entry was posted in Jennifer Kahnweiler and tagged Atlanta Business Radio, career, introverted leader, National Speakers Association, NSA-GA, quiet influence on July 20, 2014 by Jennifer Kahnweiler. 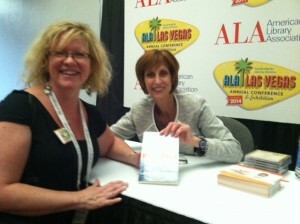 At the book signing with Librarian Catherine Noble, an attendee at the Quiet Influence presentation. It was a privilege to speak last week at the American Library Association conference in Las Vegas, NV. The focus of my talk was on how librarians can address the leadership challenges they face today not by morphing into Extroverts but by drawing from an array of “introvert friendly” tools and approaches. 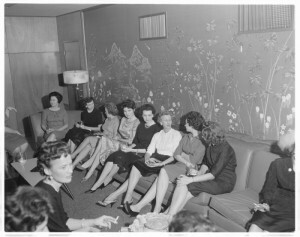 Prior to the speech I interviewed several leaders who were attending the program. I learned about how maintaining relevancy, shifting to linked data and generational shifts in the workplace are some of the hurdles faced by librarians today. Libraries and librarians have had a special place in my heart. My Dad, Alvin Boretz was a screenwriter who grew up in the Depression and books where his lifeblood. The library was his second home and it became mine. Dad led the renovation and transformation of our local library. In an act of seeming reciprocity, the library system returned a gift to him. In later years, his collection of scripts, notes, letters and research were catalogued at the Film and Theater Archives at the University of Wisconsin . I wrote a blog post about the wonderful librarian who took on the project as well as our visit to that special place. This entry was posted in introvert, Uncategorized and tagged ALA, Berrett-Koehler, Introverts, jennifer kahnweiler, leader, librarians, quiet influence, Steve Piersanti on July 6, 2014 by Jennifer Kahnweiler. One of the six strengths of Quiet Influencers is the thoughtful use of social media. I have been particularly struck with how generous many of them are in giving away their content and ideas. One great example of this is found with my friend Jesse Stoner. 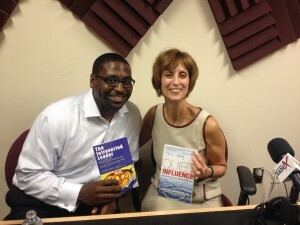 She is co-author with Ken Blanchard of Full Steam Ahead and writes a popular leadership blog. Jesse also has 25,000 Twitter followers. She has brilliant ideas about how to create a vision for yourself, your organization and your team. But she doesn’t rely exclusively on her own intellectual property. Jesse wisely weaves in the lessons of others to deepen her own thinking and make us challenge our own. For instance, recently she ran a series of terrific guest posts from top leadership thinkers like Doug Conant, Jim Kouzes, Barry Posner and Shilpa Jain. The comments were equally as intriguing as the blog posts and are still creating buzz in the leadership development community. This entry was posted in introvert and tagged Alan Stevens, introvert, introverted leader, jennifer kahnweiler, Jesse Stoner, Media Coach, quiet influence, Seapoint Center, social media on August 6, 2013 by Jennifer Kahnweiler. My friend Marty sent me a text, “Hey, I saw your mug flying home on Delta tonight.” That was a nice surprise and an honor. 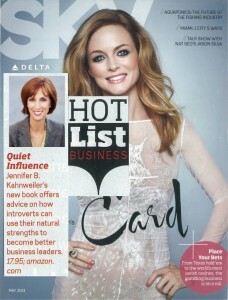 Delta picked Quiet Influence:The Introvert’s Guide To Making a Difference for it’s “Hot List” in May’s Sky Magazine. Filled with pride, I tried asking the flight attendant if I could get a free flight (or even a free drink?) but she smiled and said, “That’s nice, but sorry.” Not even any perks for writing most of the book on your airplanes? :) I think I will try working on my Quiet Influence Quotient to get some sway on my hometown airline. This entry was posted in introvert, introverted leader, Jennifer Kahnweiler, Quiet Influence and tagged Berrett-Koehler, Delta Airlines, introvert, introverted leader, jennifer kahnweiler, quiet influence, Sky Magazine on May 22, 2013 by Jennifer Kahnweiler. Ryan Jenkins is a savvy 20 something who is a spokesperson for his generation. In fact he is known as a “next generation catalyst and his Tweets and postings always keep me in the know. For instance, I learned the term “side hustle” from Ryan, having a variety of fulfilling gigs outside of your normal job. He is thoughtful and values his quiet time, as you will read about in his well written blog entry connecting Quiet Influence to the Next Gen. Here were a few points he pulled from Quiet Influence that are relevant for his “peeps.” Read his other terrific insights here and visit his site to sign up for updates. So worth it! “Too much quiet time can negatively impact your ability to influence others.” I’m guilty by getting paralysis by analysis. “Look back but don’t stare.” When reflecting or thinking and your thoughts begin to recycle then it’s time to break the cycle and act. 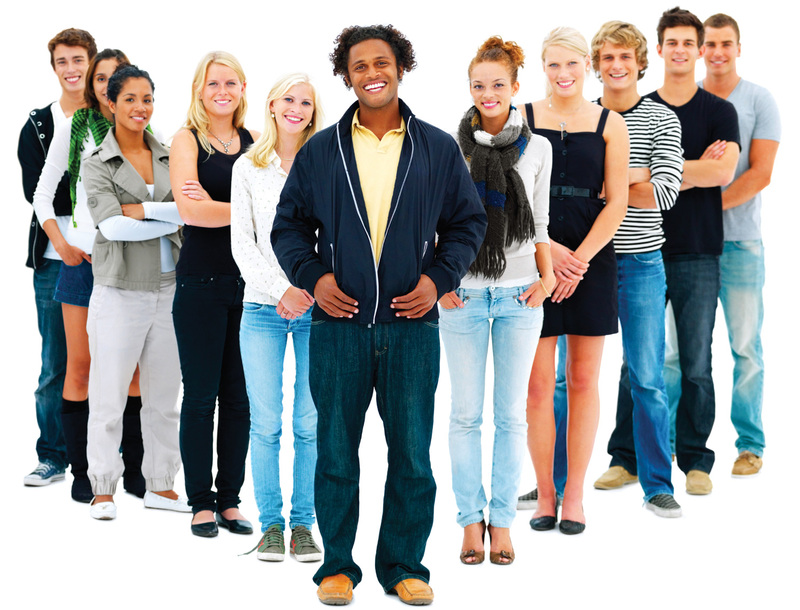 This entry was posted in introvert, Quiet Influence (QI) Group and tagged Introverts, jennifer kahnweiler, Millennials, quiet influence, ryan jenkins on April 12, 2013 by Jennifer Kahnweiler. 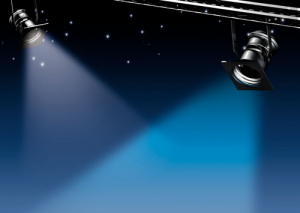 I have enjoyed working with Jennifer B. Kahnweiler, Ph.D. over the past several years to promote her and her message to my community of over 4,000 Project Management Professionals (PMPs). Our community of 4200 PMPs (and, growing) on PDUs2Go.com are some of her biggest fans! We appreciate her efforts to transform the project management profession to embrace and encourage the introverted leaders. She has impressed me with her willingness to navigate multiple learning platforms and audiences. She is a dedicated professional and collaborator in the true sense of the word.